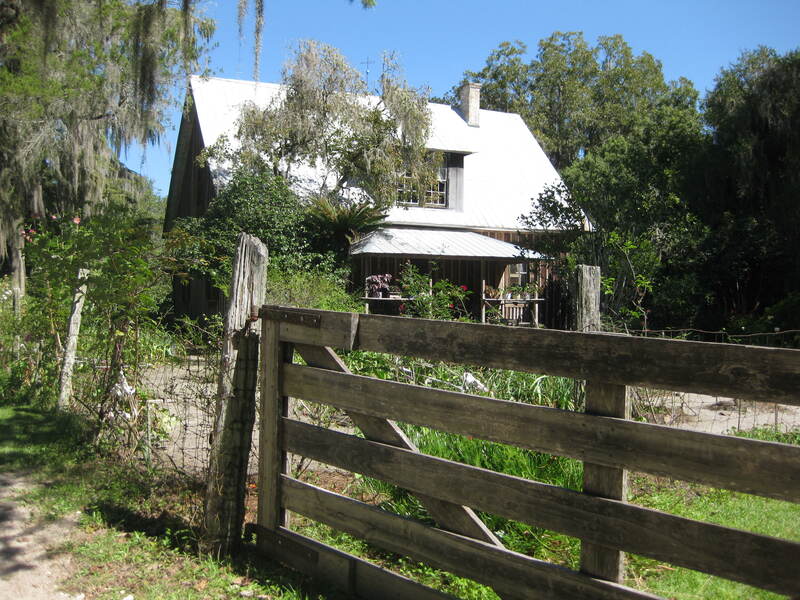 The Dudley Farm, a historic Florida homestead and working farm, hosted a quilt show this weekend. 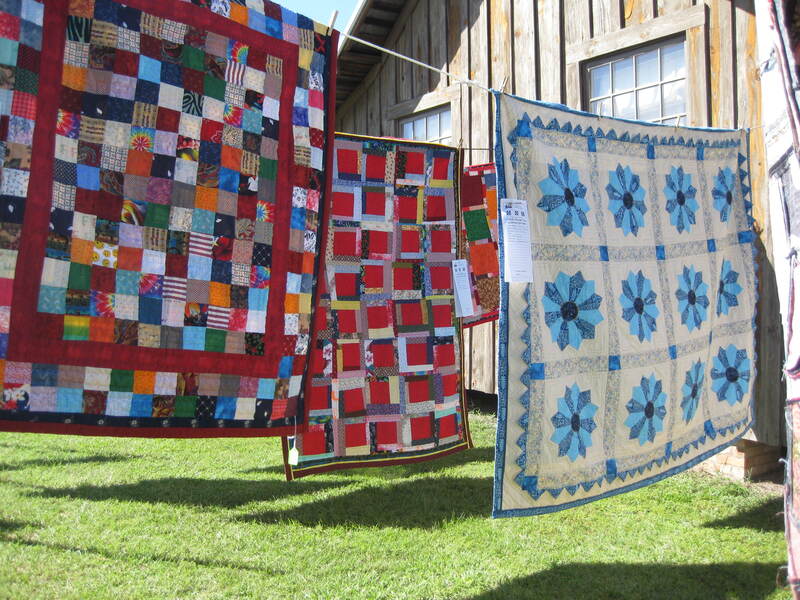 Ladies in period costume–prairie bonnets!–showed off some antique quilts. There were some quilts for sale and “quilted apparel”–questionable at best. Still, these quilts looked so pretty hanging on the line, and we had a good time visiting the animals, pumping water, and playing catch with horse chestnuts. Fun! It looks like it was an idyllic day, too. I like that simple squares quilt–that pattern is so classic & pretty!